The first step to understanding individual animals is to understand their environment. The environment in which an animal lives in is referred to as its habitat. A habitats is a place where living things live and how they survive in that area. Habitats are homes, and everyone needs one! Animals have basic needs for air, water, food, shelter, and space. Plants, animals, and even humans choose habitats for many different reasons, depending on their needs. The picture to the right shows different animals and the habitat that best fits it's needs. Animals live in habitats all over that are suited for them. Humans help animals by providing habitats for them as well! Some people build dams in the water to create new habitats for fish, while others take in pets, like dogs and cats, and provide habitats for them in their homes! Animals have a variety of similarites and differences; some are alike in what they look like, what they do, what they eat, and where they live; while others are very different from one another. Many animals share the same habitat because they are from the same group. 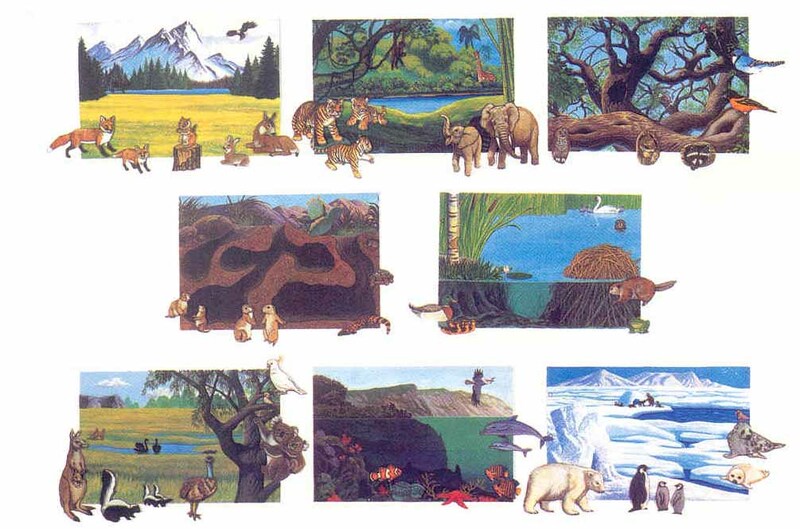 The picture below shows different habitats with different animals in each one! Scientists divide animals into groups, depending upon how they are alike and different. 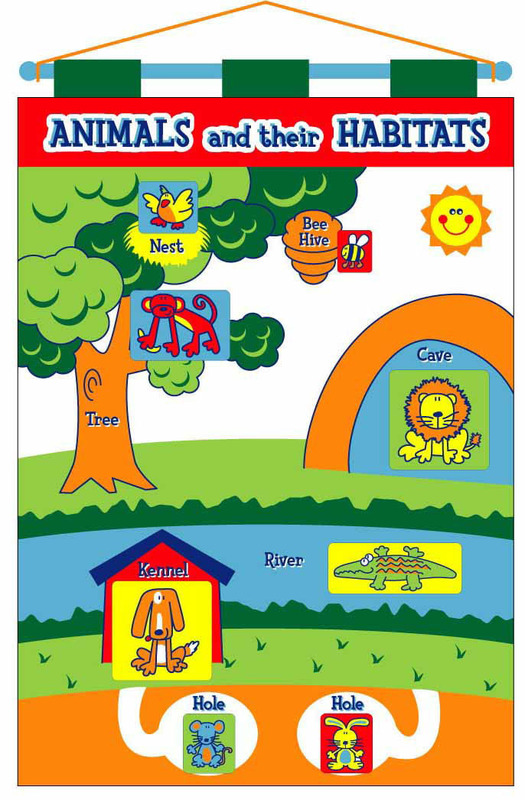 Some animals eat plants or other animals for food and may also use plants for shelter and nesting. Within each animal group, there are some similarities and differences in their habitats. Click the "Quiz Me" button to test your knowledge on an animal and it's habitat! 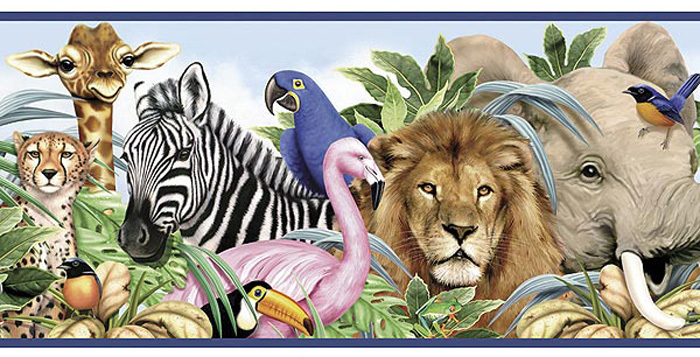 So let's learn about 8 different animals using the flash card activity. Click the "Quiz Me" button to test your knowledge on animals and their habitats! Living things are found almost everywhere in the world. There are different kinds in different places! What kinds of living things and habitats can you think of near your school or home? For more fun with habitats, go to Kids Corner for more games to play!